In the series “In the Spotlight”, we ask a number of reliable WordPress development parties and Savvii clients at what they excel. We hope to help people in their search for a WordPress specialist of their choice and at the same time, we give developers a sneak peek of each other’s work. In this installment, we interview Bas van der Lans from WordPress agency ‘Van Ons’, based in Amsterdam. How did you end up building WordPress sites? We (Robert and Bas) started out using MODX to build websites for people from our village in MODX, but when we noticed that we could do this much faster in WordPress, we switched. That was back in 2006 when WordPress was still in its infancy and was more of a CMS for blogs. Do you also provide other services? In addition to websites and apps based on WordPress, Van Ons also produces beacon applications. That is to say, in other words, that we make indoor GPS. Newspaper De Telegraaf recently wrote about our case for a petting zoo, ‘t Valleike, where an alpaca carries our beacon and children get information about the animal when they come close to it. Due to our technical knowledge, we are also often asked for advice on web and software development and linking WordPress and external software. Could you describe your workflow, starting from your first meeting with a customer to the delivery of a site? This varies a lot for each customer. We often work for IT developers, whom can easily keep up from a technological perspective, but we also provide a lot of services for brands and agencies that tend to leave the whole process to us, including the design. Once the design is finalized, things become more straightforward. At times, we will tell a customer: you may not hear from us for a few weeks now – just let us bang out the technological stuff – and when we get in touch with you again, your website will be done! This is where our project managers make the difference. While the programmers are busy, they will keep the customer informed while simultaneously working on content, data tracking, and every other thing that enables online success. Although we are really focused on technology, there is a need for far-reaching online knowledge and guidance in almost every process. We never deliver an ‘empty’ site. Working in sprints also helps customers, whether they have a lot of technical knowledge or not. They are aware of which phase the development is in at all times. What is your main reason for choosing Savvii for your hosting? The support. Hosting is something that both Van Ons and our customers should not have to think about every day. Similar to power and water, really. However, when problems do arise, it is nice to know that the people at Savvii know everything about the technology we use. Of course, our programmers also have the necessary knowledge about both servers and server software, but they are busy writing code for customer projects. Ever since we have made that division of labour with Savvii for some of our best-known customers, we also understand our IT customers much better: everyone has their expertise. Which tools do you use that may be useful for other developers and designers? Springloops.io for deploying websites. Especially useful because you can roll out or retrieve a new version with the touch of a button. The tool works based on Git, which we also use for our version management. Where do you get your WordPress, (web) development, and design news? We read a lot on Twitter, which is where new sites, updates, and gossip is discussed. We also often look at some of the best-designed websites at www.awwwards.com. What are your favourite plugins and why? Yoast SEO is a no-brainer. It does what it sets out to do and it is reliable, which is important. Which do’s and don’ts for building WordPress sites would you like to share? The most important aspect of every project is the demarcation. Our clients must know exactly what they are going to get, for what amount, and in what timeframe. Preparing the requirements beforehand is a lifesaver and makes the entire process more fun. Outsourcing work (whether it is technology or design) is an excellent choice, provided that the division of labour is very clearly defined. ‘The right people for the right job’, just like we always advise ‘the right tool for the right job’. What functionality does Van Ons miss in WordPress that could be added in core or with a new plugin? A front-end editor would make a very accessible tool for many WordPress customers. Squarespace does this very well: everyone, even if they lack the technical know-how, can easily create columns and drag and drop images. This is what feels the most natural for people who can’t get a grasp of HTML. What are some typical questions from your customers and how do you respond to them? “How much does one of your websites cost?” This is a broad question that caused an interesting discussion at the end of last year, partly in response to this article on Dutch blog Frankwatching. For many people, it feels like a kind of battle between agency and client. No matter what say as an agency, when this discussion with a potential customer arises, it seems as if we are taking our own side. That makes it fun and challenging to convince those customers that we give honest advice. It is great for us if we can build long-term relationships with our customers and honesty is the key to this. For our ideal customer, the division of labour is clear from the get-go and very important to everyone involved, which makes it a pleasure to work with them. Which questions should a potential customer ask in order to recognize a good developer? The first question in a pitch is typically very broad: how do you tackle this process? The most important thing is that the customer should have a good feeling about working with the developer. There are many possible processes, all of which are not necessarily good or bad; they just have to be the right fit for the people involved. Which business tips would you like to share with other web developers? Write all your code as if other people have to work with it after you are done. This is a good way to make sure that you are writing clean code that can be used in a modular way. Want to know why working together with Savvii is a smart idea, also according to other agencies? Gijs is marketing manager at Savvii. He started managing several WordPress websites ten years ago. 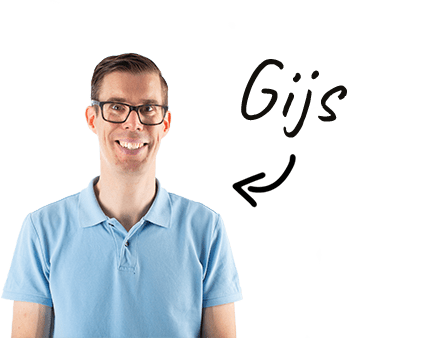 He is responsible for SEO, SEA, our prices and products and organizes the WordPress meetup Nijmegen.